Andrew: So... All those crazy timelines... All those alternate... Might have beens... How bad did they get? Twilight: *Winces* Some of them got really... Intense. Twilight: No, no... It's all right. I just... I saw a lot of things I wish I hadn't... Especially things happening to you. 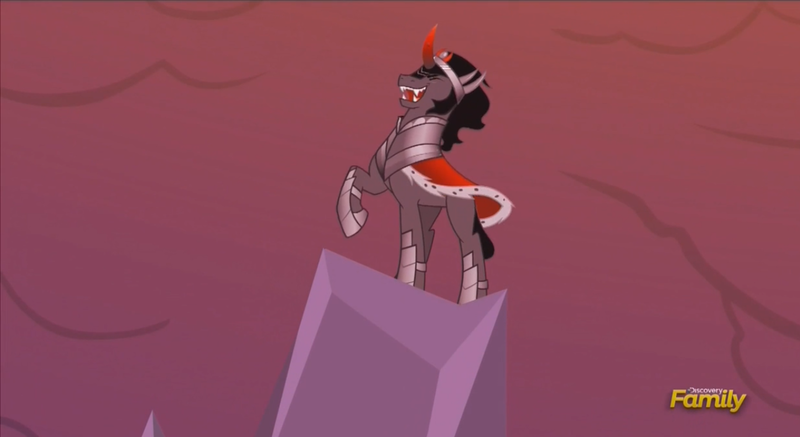 So what did everyone think of the King Sombra segment? Out of all the time lines I thought it was the best. 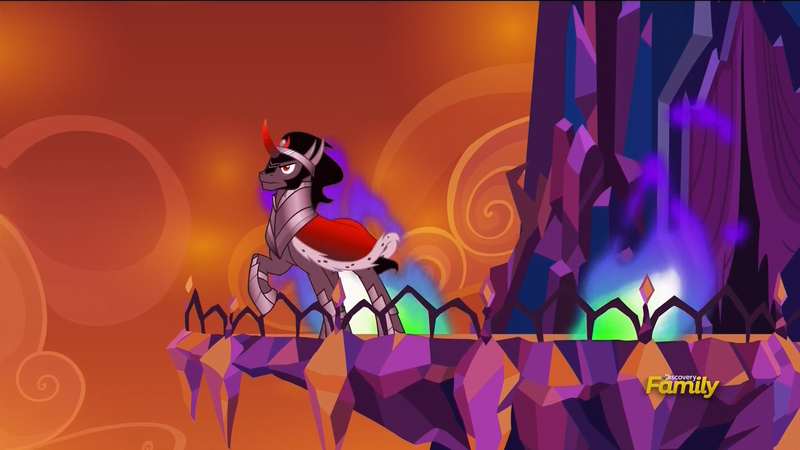 Hopefully this can inspire more fan fiction about King Sombra related to that timeline. War and death is now truly a real thing in this show and seems to outright smash the idea with a sledgehammer that Equestria is an utopia. It can fall into darkness if they aren't careful. So we're finally here, the epic two-part finale to season 5! If you've seen the episode and are interested in my words then read after the break, otherwise just move along or come back later. So I just got done watching Canned Cream's and Brawny Buck's reviews of the season finale and when the question of why Twilight thought the Nightmare Moon future was worse then the previous two come up and this is my two bits. My last blog post this morning was really random and poorly thought out. I thought I'd counter that with something more substantial, or at least more coherent. Posted originally as a comment to alarajrogers' blog post about the season finale. 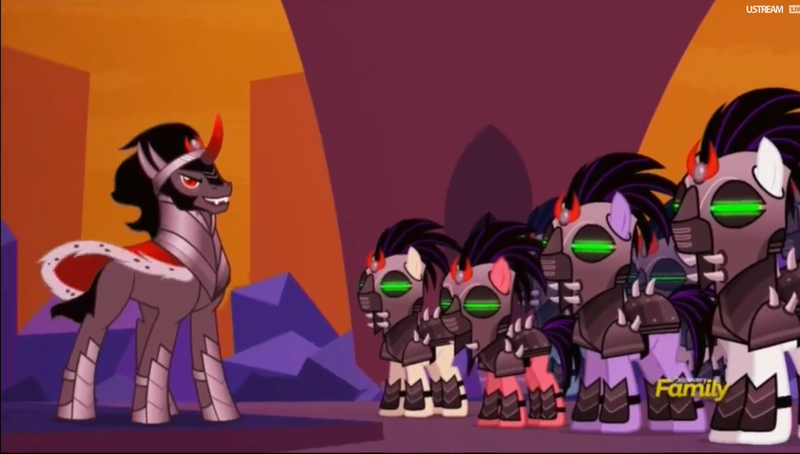 To me, the most interesting detail is Zecora's reaction in the Chrysalis timeline. 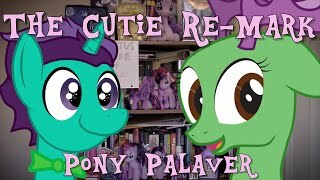 Here are my thoughts on Jay-The-Brony's ...That's It? Well, the screaming monkeys are back. If you read my review of Friendshit Games you know that that means. So yeah, this was a pretty fantastic finale for this season. Oh My Celestia, you guys! This was one heck of a finale! I loved it! And the main villains being in the whole two parter! I don't care what you bronies think but I literally went fangirl crazy at the Tirek and Discord scenes! SQUEEEEEE!!!! (Sorry..LOL) The episode was well balanced with it's time though I wished some scenes lasted longer. No screencaps because 1:07 AM. Also holy crap, season finale. I loved it. Not so much because Starlight Glimmer (anything about her, really), but everything else. Really, I like to look at this special as a nod to fanfiction, because I swear the writers were looking at us for this one, maybe even more than #100.